Much has been and will be written about this 22 strong fleet (or 23 if the prototype is included!) of twin engined 3300hp locomotives. Powered by a pair of Napier 'Deltic' engines and weighing around 100 tons their performance is quite phenominal. British Rail organised a farewell tour in January 1982 ending with 55022 arriving at London King's Cross to be greeted by scenes never before seen as crowds flocked to witness the event. 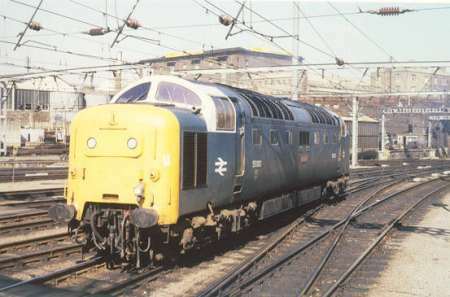 A number of the type were acquired for preservation and the end of the 1990's saw the return to main line running of 55022 (carrying it's original number of D9000). 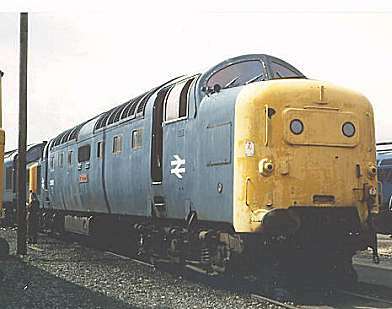 This in turn has been followed by the appearance of 55009, 016 and 019 and 55002 and 015 are being prepared for a similar return to the main line. The following views are from the first time round as it were! 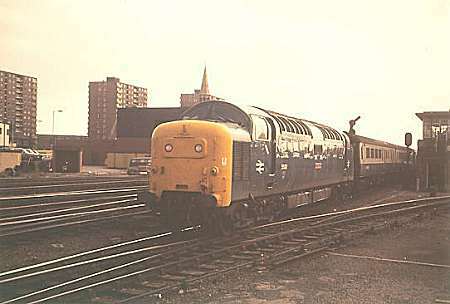 55001 on a northbound departure from Doncaster on 29th August 1977, whilst below the locomotive is seen in Doncaster Works on 6th May 1979. 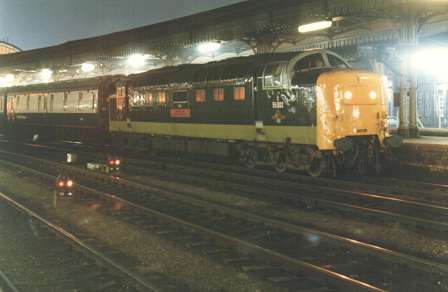 55002 pauses at York with the 19:25 Aberdeen - London King's Cross (1E40) of 11th April 1981, note the Mark 1 sleeper! 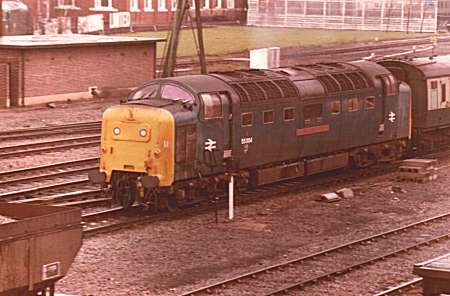 55004 is seen leaving Doncaster on 21st March 1981 with 37168 just visible in the upper left. 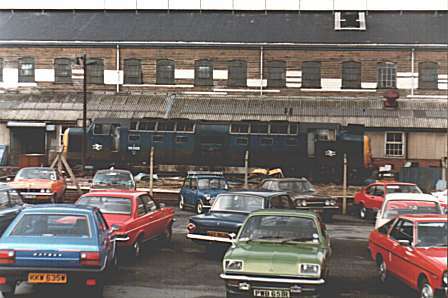 Exactly 20 years to the day after entering service 55005 is seen dumped at the back of Doncaster Works where the type was overhauled. 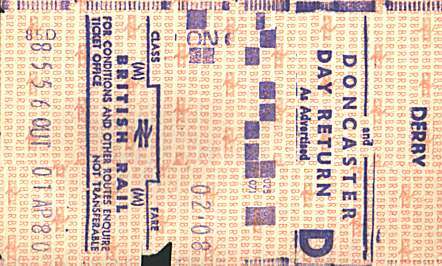 The date is 25th May 1981. The contents of the works car park make interesting viewing with, among other things a brand new 'W' plate Datsun!! Click the ticket to Continue !